With CEREC crowns you can get your restoration designed, created and placed in just one visit. What goes into getting same day crowns? A dental crown is recommended to protect a tooth that is weak or damaged by old metal fillings, decay, cracks or infection. 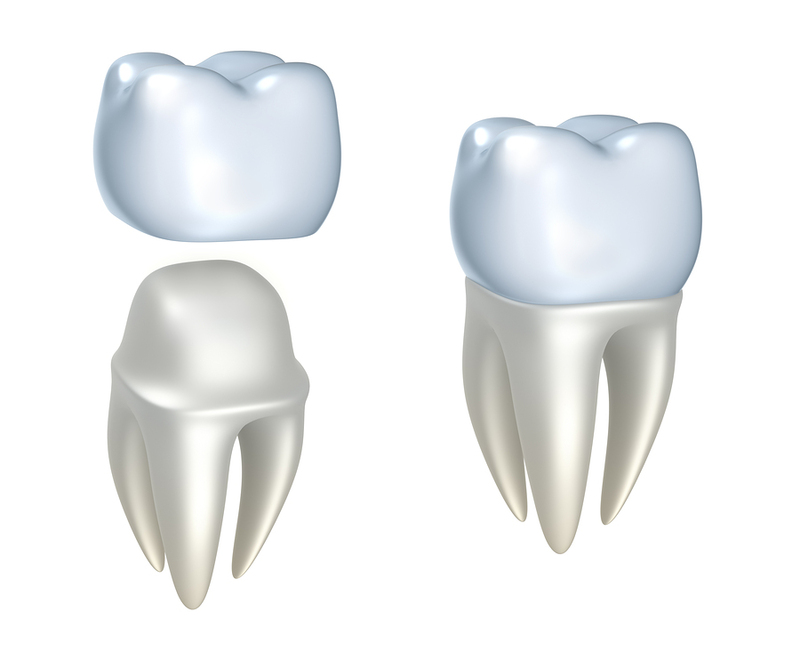 Dental crowns may also be used if the tooth is severely misshapen or discolored and you would just like to improve the appearance of your tooth. Impressions: With this amazing CEREC technology, we can easily take these measurements with a small handheld camera. No annoying molds to deal with. It only takes a couple minutes to snap the images we need. Design and Fabricate: After we scan photos of your tooth, these photos will be uploaded to the computer and made into 3D images. Once the crown is designed the next step is to fabricate it in our milling machine. We only recommend ceramic crowns, as they are biological and holistic materials that are gentle on the gum tissues, in addition to looking very life-like. Bonding the Crown: Once the crown is complete, we check the fit of the crown before we bond it into place. Once bonded, we will give it one good, final polish and you leave our office with a permanent crown! No more temporaries that feel rough or fall out, making you take time off from work or life to go back to get them re-cemented. Same day crowns make it possible to get the dentistry you need in one visit so you can get back to your life.